This morning, Google announced that Inbox, it’s non-traditional email service that focuses on helping you get things done, is coming to Google Apps users! Since we (the DL staff) are obsessive Google Apps users, the level of excitement at our remote offices couldn’t be greater. Like its more consumer-focused launch, access to Inbox through Google Apps will also require an invite from Google. According to Google, they are going to take Google Apps integration with Inbox much slower. Starting next month, they will begin enabling Inbox for a “small group” of Apps users to “learn about their needs, challenges and use cases.” They are more than likely looking for users who will choose Inbox as their primary email at work, are heavy mobile users, and who are willing to partner with Google to help build out “the new work Inbox.” If you think you want to give it a spin and be Google’s test subject, you can email Google at inboxforwork@google.com to request an invite. Do my users need individual invitations? Google Apps for Work users do not need individual invitations. Activating a Google Apps for Work domain will allow all users in that domain to access Inbox by Gmail. Can users get back to their existing Gmail? Yes. After they sign up for Inbox by Gmail, your users will have access to both, and they can use either Inbox by Gmail or Gmail based on their preference. They do not have to choose one or the other. To find out how to request an invite and get Inbox setup for your Google Apps account, hit up this Google support page. 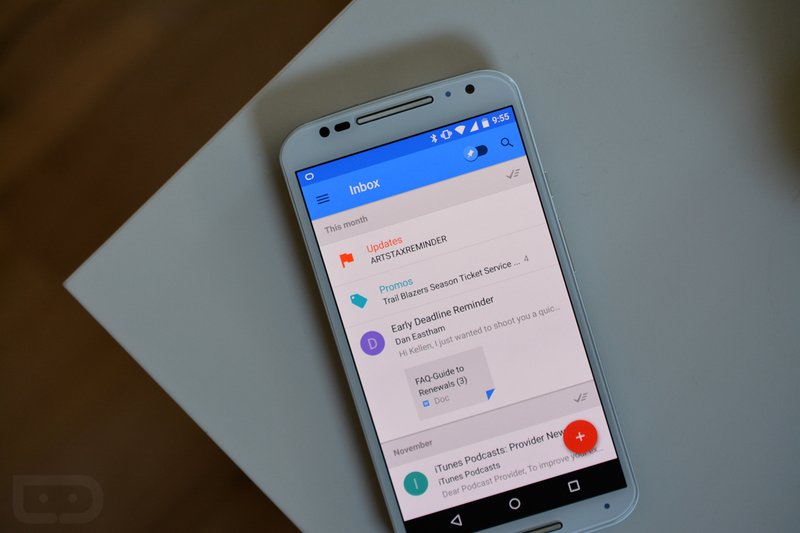 To see our hands-on tour of Inbox, be sure to check out this video.